Make sure your entire team is up to speed with all new project announcements in UDA ConstructionOnline. An easier way for you to share important project info with your entire team. Introducing the new project announcement feature in UDA ConstructionOnline™. Send your team members critical announcements to keep them up to speed at all times. Communication is a key part of project success. When your communication is lacking, oversights happen that can impact project performance and client satisfaction. Make sure your team is always up to speed with the brand new project announcement feature in ConstructionOnline. By adding announcements, your critical information can be shared on a company wide or project specific level. The ConstructionOnline™ project communication features are just one of the many reasons why so many construction pros prefer ConstructionOnline™ for their construction project management needs. 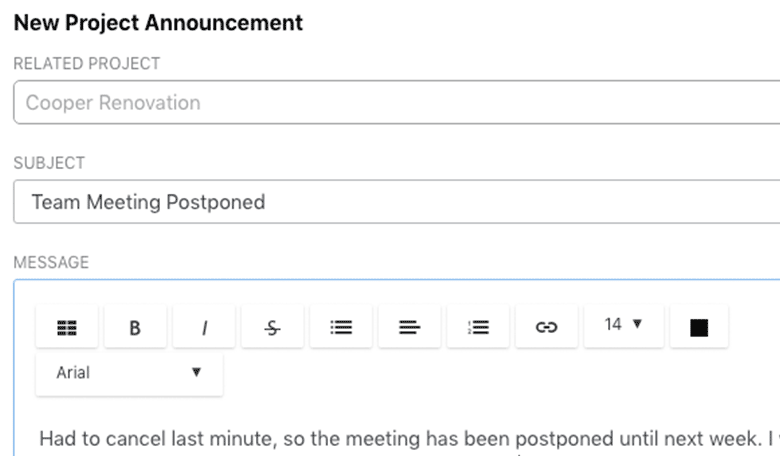 Customize your announcements by adding links or formatting them with custom lists, font sizes and other text styles, just like you would in an email. ConstructionOnline™ project announcements give you the option to assign priority levels to your announcements. Communicate the priority by assigning the announcement a high, medium or low priority level. 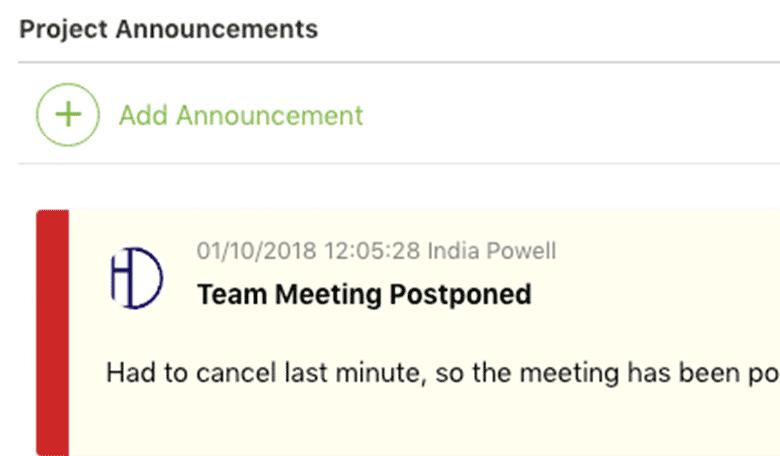 Pin your announcements to the top of the announcement list for quick, easy viewing, so you can make sure your team is always aware of important project information. Send announcements to all of your contacts or select specific recipients to receive them. 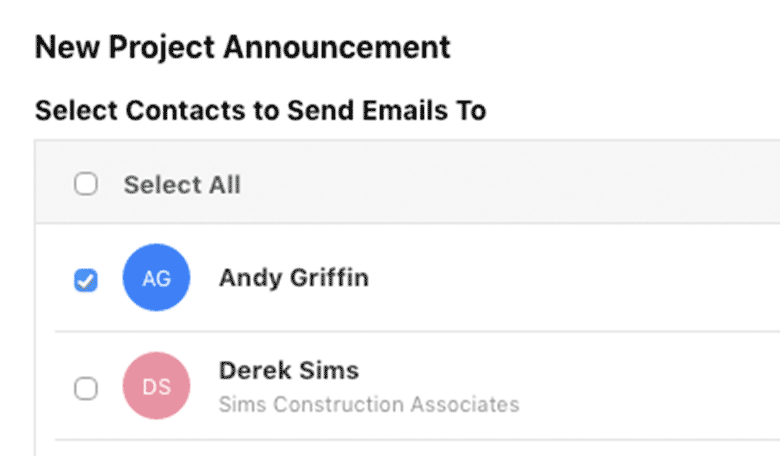 Send out automated emails to your contacts regarding the announcement or simply post it to ConstructionOnline™ for all of your project and/or company contacts to see. When you pair the new project announcement feature with ConstructionOnline™ messaging, you have unrivaled project communication tools that will take your team communication to an entirely new level. All recent announcements show up in the latest project activity feed. 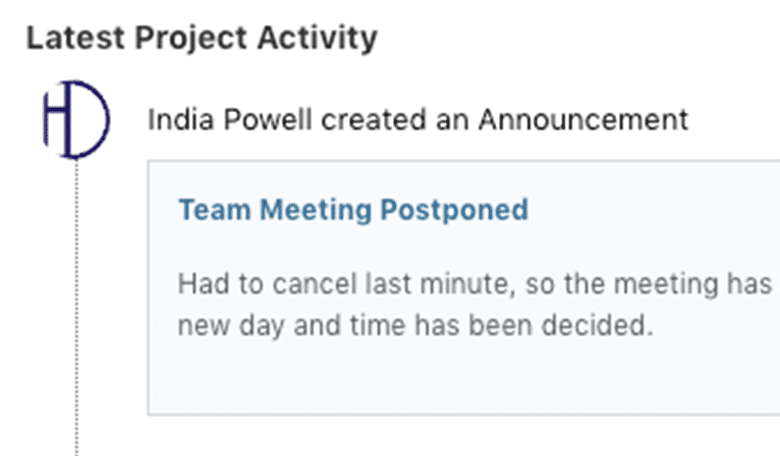 This way your team members can view the announcement directly in the project overview, which relays all of the latest happenings to your team. Simply click the announcement in the feed and it will take you directly to the announcement tab in your ConstructionOnline™ account.